After a very slow June and July the Kona fleet has been enjoying some good fishing over the last month. Jason Holtz on the “Marlin Magic” told me he’s been raising 2-4 billfish a day, some nice blue marlin with a few stripie’s and spearfish mixed in. 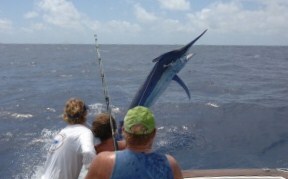 He has Billy Boyle fishing with him at the moment chasing the 16# blue marlin record,good luck guys! “Five Star” and “Strong Persuader” have been finding a few fish as well. 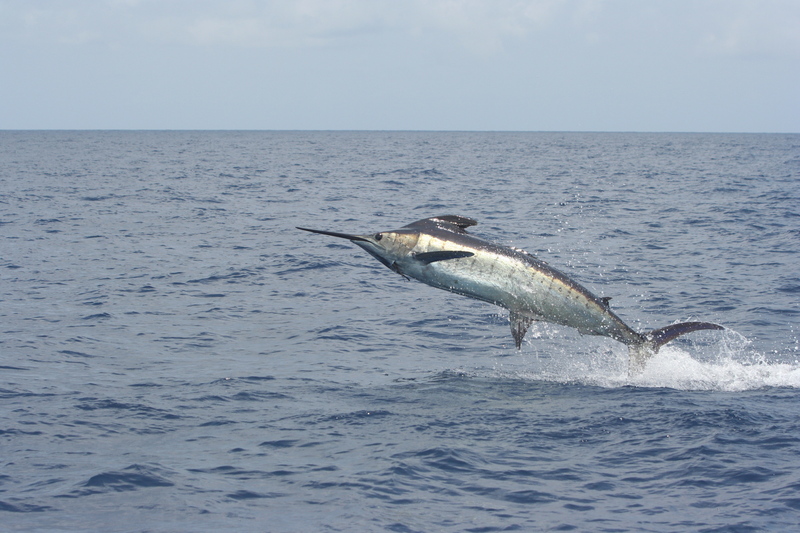 Both boats released 3-4 nice fish over the last week. Chip Van Mols,who runs “Monkey Business”,said the fish just turned up late this year and he expects the good fishing to continue through October. September is also a great month in Kona for big fish and it wouldn’t surprise me if there were a few granders weighed in the coming weeks. Even though the Cairns season hasn’t really started yet a few boats have reported some early action. “Iona II” is already fishing up of no. 10 ribbon reef and the other day they had 5 bites, releasing 2 and they raised a really big fish that wouldn’t eat. Hopefully its a sign that Cairns is going to have a banner season.